Some of the biggest surprise disappointments in the NHL so far this season. We are several weeks into the new NHL season, and a handful of players have been off to a very slow start. This is a bit unusual to see, as a few of them have been very good in the NHL for a long long time. Let’s take look at some players that have been off to a disappointing start in 2018/19 so far. James Neal has been one of the most consistent goal scorers in the NHL for much of the past decade. Since entering the league back in 2008/09 with the Dallas Stars, he has scored at least 21 goals or more in every single season he has played. The summer of 2018 was a big one for the 31-year-old as he signed a five-year, $28.75 million contract with the Calgary Flames. Goal-scoring has been an issue for the Flames for several years, and they brought in Neal to try to help improve their offense. It is a bit of an understatement but Neal hasn’t really lived up to expectations so far season. The talented sniper only has one goal and two points in his first nine games with the Flames. Obviously, everyone expects a bit more from him, as it is very unusual to see that he is on pace to score nine goals and 18 points this year. Neal is not that old at 31 and should have at least two-to-three years of good hockey left. So perhaps it might be too early to say his first season with the Flames was a bust. When we think of the top goal scorers of this generation Alex Ovechkin’s usually comes to mind, but Steven Stamkos' name is not far off. Considering how he has won the Maurice "Rocket" Richard Trophy twice and has hit the 40-goal plateau four times in his career. Heading into 2018/19, Tampa Bay is considered one of the best teams in the Eastern Conference, and many analysts picked them as a Stanley Cup contender. They have been off to a decent start this year, but it’s a bit unusual to not see Steven Stamkos as one of Tampa’s top scorers. Number 91 only has one goal in his first eight games, but luckily for him, Tampa is a rather deep team and have enough offensive weapons to carry the load offensively for the time being. It is never a good idea to write-off one of the best pure goal scorers of this generation. But he will be turning 29 this year and has suffered several major injuries in the past. 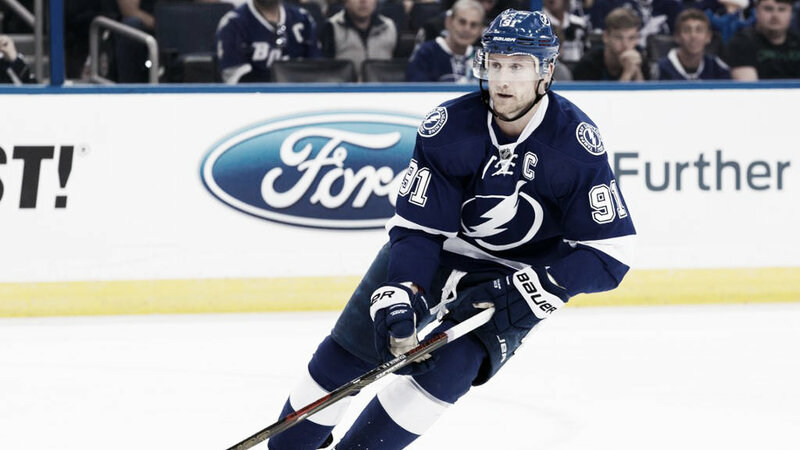 Could 2019 be the year where we see a major decline in Stamkos’ production? The Vegas Golden Knights made a major blockbuster deal over the summer when they traded Tomáš Tatar, Nick Suzuki, and a 2019 second round draft pick to Montreal to bring in Max Pacioretty. The former Canadiens’ captain had a rough year in Montreal last year, scoring only 37 points. Being away from Montreal, many expected him to have a bounce-back year this season but he has been awfully quiet for the Golden Knights so far. He only has two points in his first nine games and hasn’t been a huge factor for his team’s offense early on. If Pacioretty doesn’t pick things up soon, it might be a growing problem for the Golden Knights going forward. The Golden Knights are one of the lowest scoring teams in the NHL right now and could really use some more offense from number 67. Perhaps it’s the combination of trying to settle into a new environment and playing for a different coach. But considering his track record, it would be disappointing to see Pacioretty not score at least 20 goals this year. Patrik Laine has been off to a very quiet start this season and has been underachieving by his standards. He averaged 40 goals in his first two seasons as a teenager in the NHL and had a career-high of 44 goals and 70 points last season. Many expected the 20-year-old to put up even better numbers this year and even be a top 10 scorer in points. But he currently only has three goals in his first ten games and is on pace to score 25 goals and 41 points this year. Those numbers may be acceptable for a lot of other players in the league but comparatively low by his standards. There is still time for Laine to pick things up and it might only be a matter of time before he starts scoring in bunches. What do you think of these players and their current struggles? Let us know in the comment section below, and make sure to give us a follow on Twitter (@VAVELNHL_ENG) for more updates!